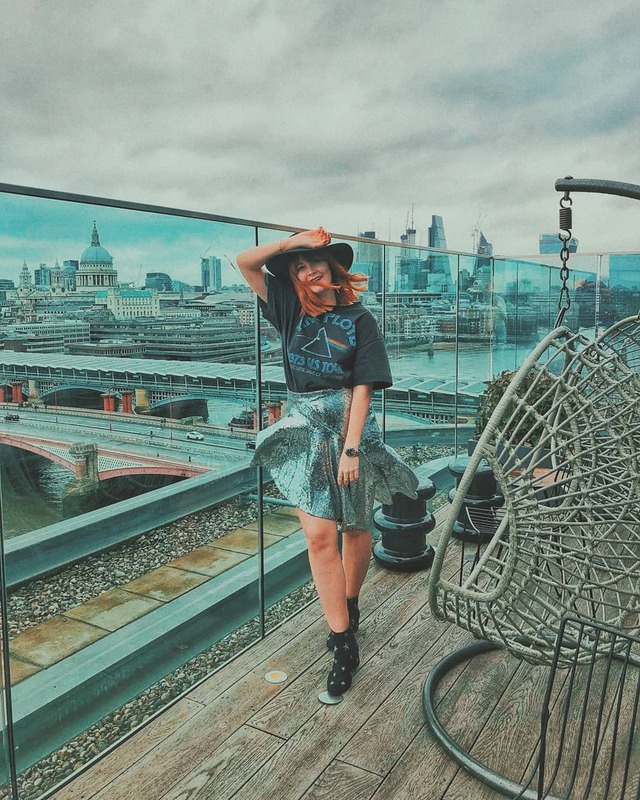 I'm slowly making my way around the new restaurants at Westquay Watermark and having already been to Thaikhun and Red Dog Saloon, next on my Southampton foodie hit list was The Diner! 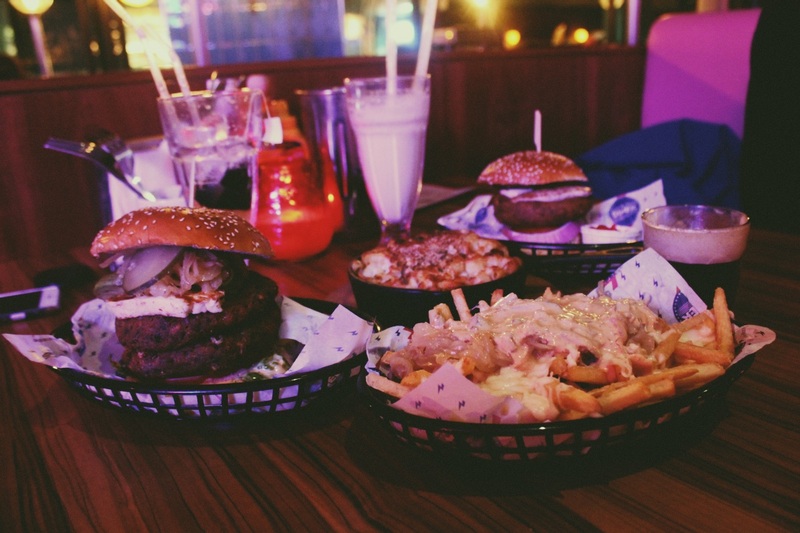 Now, I have visited The Diner in London before, but this was when I was still eating meat so I was curious to see just how extensive the menu at the well-known dirty food joint was for vegetarians. We arrived around 7:30pm on a Saturday night and the restaurant was itself wasn't too busy, but still oozed a lively, weekend atmosphere under the neon lights and vintage-inspired soundtrack that was being belted out of the speakers; anywhere that has Bowie tunes wins me over without question! We were quickly shown to our booth and started by browsing the cocktail menu, because we obviously have our priorities in order! I ordered the Diner G & Tea, which uses the East London Liquor Co. gin, Diner blend tea, elderflower and apple. 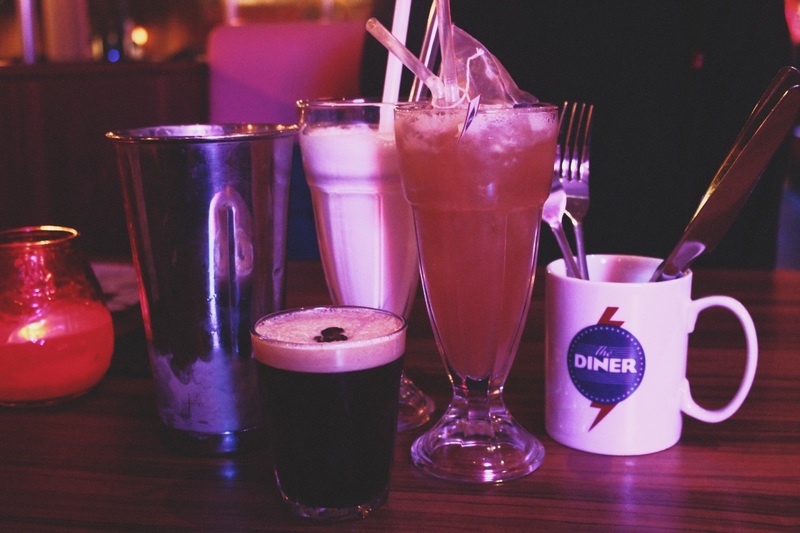 James opted for the Diner Espresso Martini and a Pina Colada Hard Shake, because two cocktails are so obviously better than one! We both ordered the Diner Veggie Burger (although James went for a double patty, because he's a braver human being than I am), because we're both far too worried about missing out on the burger option. Looking back, I do wish one of us opted for the veggie hot dog and shared, but I guess we'll just have to go back another time, eh?! 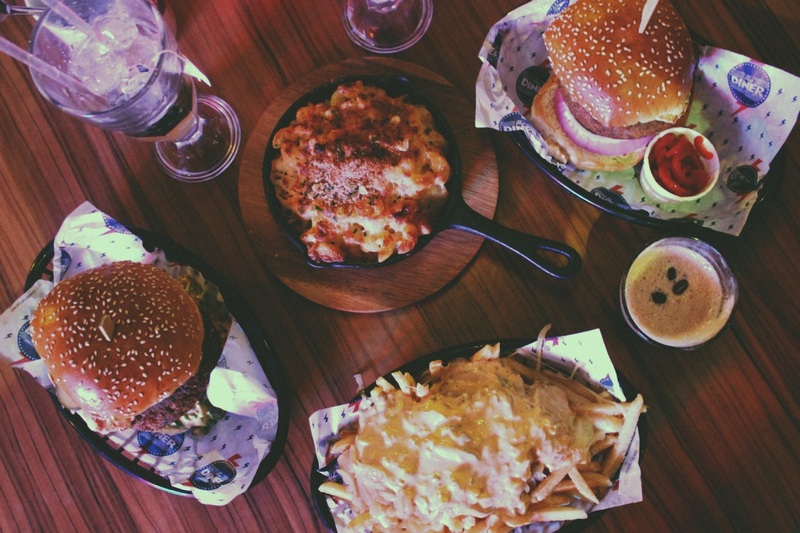 For our side dishes we ordered the Macaroni Cheese (my 'go to' side dish and all time fave) and the Hanger Fries, which are fries topped with soft fried onions, cheese and Diner burger sauce! 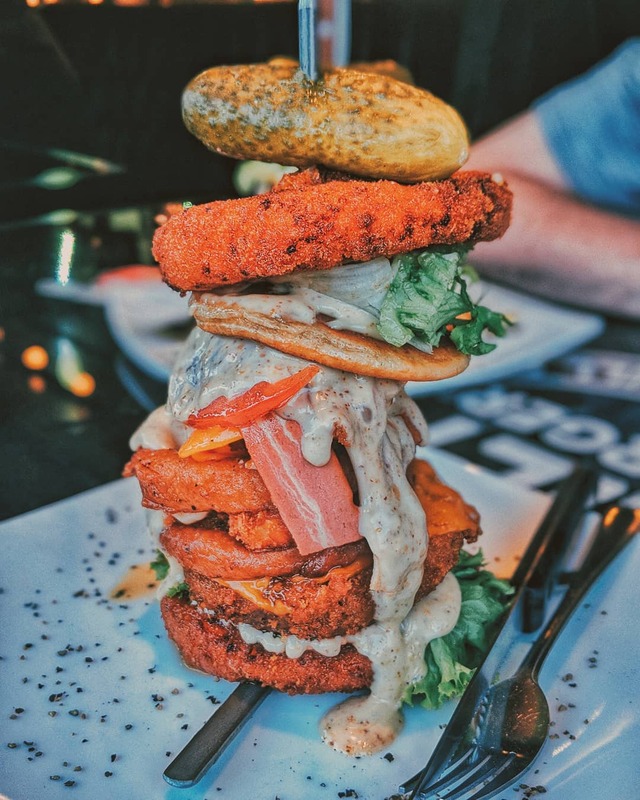 What's exciting about vegetarian based burgers is that they tend to be a lot more experimental than meat-based options and there's so much more variety across restaurants; The Diner's veggie offering was unlike any other burger I'd tasted before! The patty is made from a completely vegetarian sausage sourced from a local butcher in Eastleigh who also supplies the meat for The Diner Southampton. I've got to confess, I was pleasantly surprised that a chain restaurant like The Diner still sources its ingredients from local businesses. 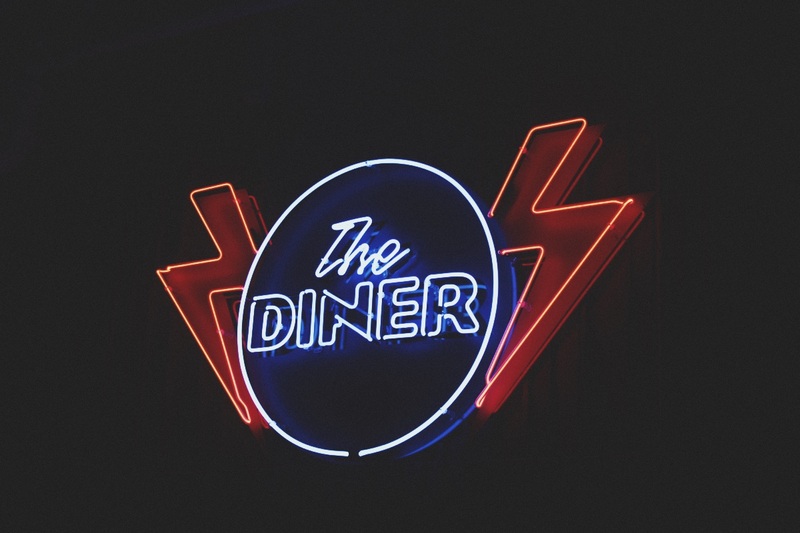 After all, The Diner has several branches in London and yet the Southampton brand still works with a local supplier! The patty itself has the taste and texture of what I can only describe as similar to sage and onion stuffing, but it was overwhelmingly flavoursome, particularly when teamed with halloumi and avocado. Although they're toppings I would never have chosen if I had known the patty was going to be so herb-based, it still kind of worked well. The patty also managed to keep a solid shape throughout eating it, which is where a lot of vegetarian burgers seem to falter! The sides should never be thrown to the sidelines, especially when they taste these good! I cannot stop thinking about the Hanger Fries since we left The Diner last weekend. 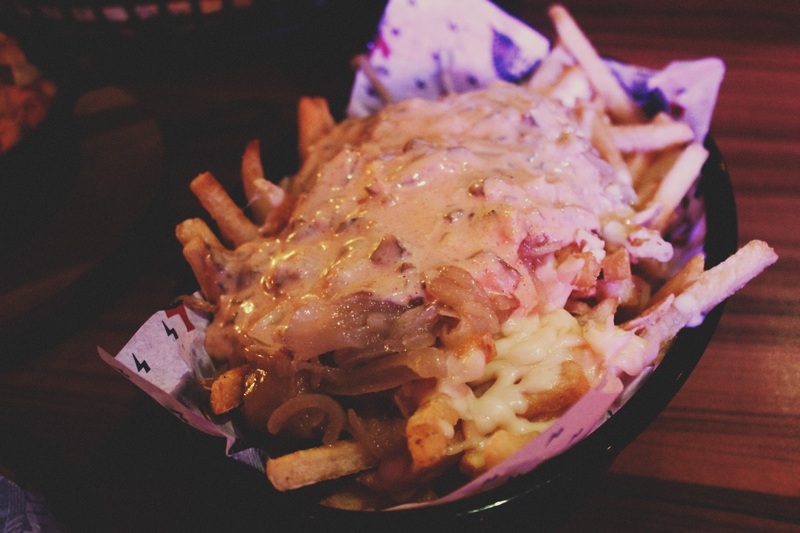 Good grief, the messy and filthy combination of cheese, onions and burger sauce drizzled all of a mountain of fries was so, so naughty that it was utterly divine. We were initially debating trying out the Garlic Butter Fries, but I think we made the better decision in the end. The side of Mac 'n' Cheese is slightly smaller in comparison to the fries, but it's a more manageable side dish. It's a little more crispy than a traditional macaroni cheese dish, but luckily I prefer mine with a toasted top! Another thing worth noting is that The Diner Southampton also offer vegan options, which is something I did not expect. Whilst there is only one listed vegan option on the menu (typically a salad, but I am promised is absolutely delicious! ), the staff at the restaurant will do whatever they can to alter a dish to suit a vegan diet requirement. In fact after speaking to several of the team at the Southampton branch, they seemed wholly excited by the prospect of creating a something new for vegan customers. I was also ecstatic to find out that they also served one of my favourite beers on tap: Camden Pale Ale, which I've never really seen much outside of London before. It was the perfect beverage to wash down an overly indulgent and absolutely freakin' delicious meal! Unfortunately my stomach couldn't quite handle the desert menu, so it'll only be a matter of time before I'm back to sample the NYC Cheesecake Sundae! Disclaimer: I was offered a complimentary meal for two by The Diner in return for an honest review.